It has been said that you always remember your first time. I'm no exception. Exactly 10 years ago today, at about 11:00 in the morning I was sitting in the 5th floor of an old Seattle office building when the earth moved under my feet. Literally. As I sat there, the ground began to rumble and the building swayed noticeably back and forth while books and pictures fell off of shelves on the wall. I looked up, glanced over at my supervisor at the time and proclaimed rather nonchalantly "Whoa, it's an earthquake". All this happened as I smiled and absorbed what was taking place, not one bit phased by it. That comprised the first 10-15 seconds of what became known as The Nisqually Quake, named for the region 30 miles away from Seattle which was the epicenter. This quake was a shallow quake which measured a significant 6.8 magnitude on the Richter Scale and did considerable damage to a number of old buildings and other structures in the vicinity. Thankfully, giving it's distance from the city there were no deaths attributed to the quake. After that initial 15 seconds where I realized what was happening, the violent shaking continued for another 30 seconds. It's truly amazing how long 45 seconds can seem when it's in the middle of an earthquake. More amazing still is the lack of concern I demonstrated during and after the incident. In reality I was much more phased by the normally 20 minute commute which turned into 4 hours, that I experienced on my way to work the next day. It's funny how that is what actually stressed me out back then. Now, 10 years to the day since that quake, I am certain that I would react in a much different way if it were to happen again. 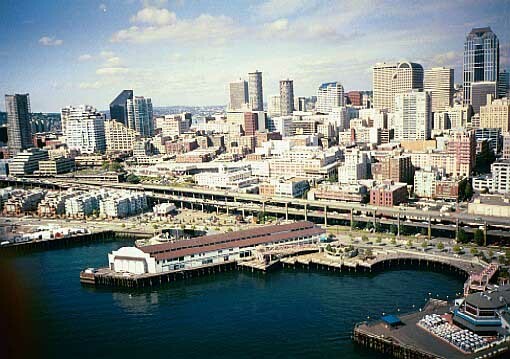 First, the reason for the 4 hour commute was because the state had shut down The Alaskan Way Viaduct, an elevated highway which runs for a few miles along Seattle's waterfront. The viaduct was damaged during the quake and ever since there has been a plan to tear it down before another quake takes it down. That will happen in the next couple of years. 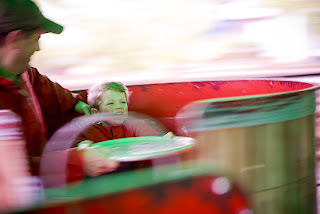 I drive that elevated highway each morning with Lukas on our way to preschool, and each morning at the back of my mind I am slightly fearful of another fatefully timed shaking of the earth. The views from that road are stunning, but it certainly is a long way down. I have even heard it reported that a similar quake centered along the Seattle Fault line - long overdue for a quake - would claim the lives of an estimated 2000 people and cause billions of dollars in damage. That thought now gives me considerable pause. It's 10 years later and I am a father now. It's 10 years later and I'm certain that given another rumble similar to The Nisqually Quake, I wouldn't be smiling. I would be concerned for the welfare of Mrs. LIAYF, and more so of Lukas. Thankfully his daycare is just a few short blocks from where I work, in a one story structure. Even hurtling debris, I'm sure I could be there in just a few short minutes. How about you readers? What natural disaster do you fear the most? Good Saturday readers. It's cold outside and save for me the family is napping, so I am multitasking by relaxing on the couch watching an episode of The Pacific while also slapping aimlessly at my keyboard attempting to get this post done. Needless to say I am a bit distracted, so I will make this a short one. I have been fortunate recently to have been sent a number of new and forthcoming kid music releases for review. Thankfully, I've also been promised a few associated giveaways for some lucky readers as well. Lukas liked all of these Cd's, therefore they are stamped 'kid approved'. So, all you have to do is leave a comment on this post, telling me which of the listed prizes you are interested in - as well as what YOUR favorite style of music is - and I will enter you in for a chance to win that item. 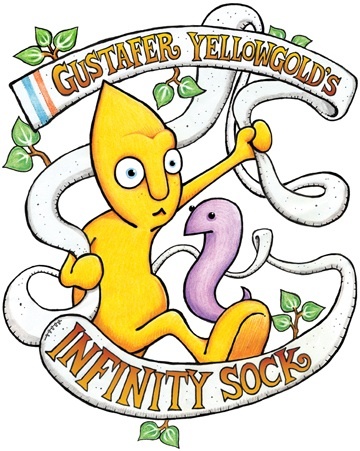 Gustafer Yellowgold: Infinity Sock - CD/DVD combo pack. 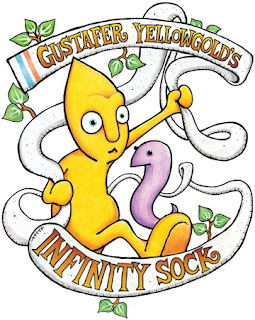 Giving away a limited edition, signed and numbered, “retro-screened” Gustafer Yellowgold’s Infinity Sock poster. 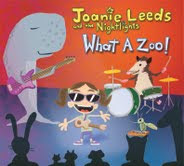 Joanie Leeds and The Nightlights: What a Zoo - Giving away a copy of the Cd. 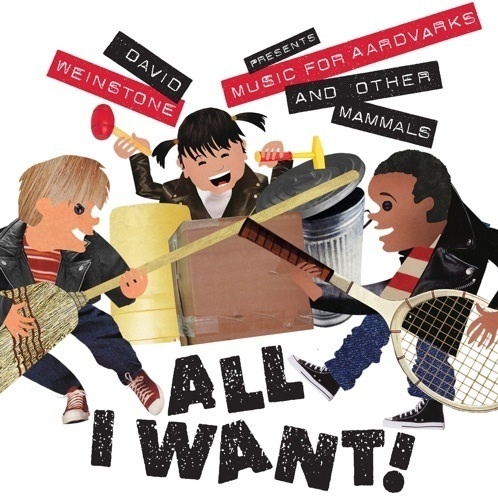 David Weinstone: All I want - Music for Ardvarks and other Mammals - Giving away a copy of the Cd. 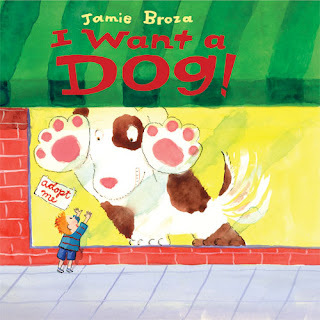 Jamie Broza: I Want a Dog - Giving away a copy of the Cd. ﻿Available only to residents of The United States or Canada. Leave a comment by Wednesday, March 2nd to be entered to win. I have been provided these Cd's to review free of charge, but that did not have any effect on whether Lukas dug them or not. But I suspect you already knew that. Man, I love my readers. Those of you who have been stopping by for a while may remember a post of mine from back in November of 2009. It was about how I didn't have really have time to spend on Facebook. I also mentioned in that post, the only reason I created a Facebook account was because I wanted to see if I could find and connect with a long lost friend. A friend I hadn't seen or talked to in over 35 years. This boy, or man now, was my best friend from kindergarten and first grade before his family moved away from my rural small town in Washington state for somewhere in Oregon. For the longest time, I was pretty bummed about losing my best friend. Unfortunately, I never heard from him again. I remembered his name, but didn't know how it was spelled. So I created an account and searched for him. I tried several different spellings, but each time had no luck. After a while searching I gave up for the night and never did make it back to try again. Of course the whole episode made it into my 2009 post about Facebook as a side note. I’d hate for this to sound creepy, since I don’t have any creepy intentions whatsoever. I just love (and have a knack for) finding things/people, etc.….. Anyway - I think I found him (Yes. I know this is totally random and weird)? Try googling (His Name -alt spelling) (My hometown). I hope this is your guy, because how much fun would that be? So I did. And sure enough after a few clicks I had a strong suspicion that this was in fact my friend from elementary school. How did I not think of that myself? How obvious should that have been to me? All I can say in my own defense is that I obviously have a very short attention span and after my short stint of searching, life once again drew my attention elsewhere. After typing the alternate spelling of his name, which he had changed since grade school, into Facebook and finding him, I send him a message asking if he had attended my school back in the 70's. I received his response Thursday afternoon, and a confirmation of my friend request. He was indeed my best friend from kindergarten and first grade. He has spent time in Japan, and currently resides in London. Looking at his picture, I can still see the same kid I knew all those years ago. It'll be good to catch up with the man he has become. The world once again became a bit smaller today. Assist, and thanks to Heather, one of your ranks. The readers I love. I'll admit it. When I Mrs. LIAYF first told me about the class she wanted Lukas to attend this weekend I was a bit skeptical. This particular activity wasn't something I pictured him participating in. "It's a Gymnastics class" she told me. "Yeah?" I replied, giving the idea some time to soak in. Then, when she added that it would just be a drop in to see how he liked it, and seeing how she wasn't really asking but letting me know he would be going, I followed with "Uh...okay I guess it wouldn't hurt." 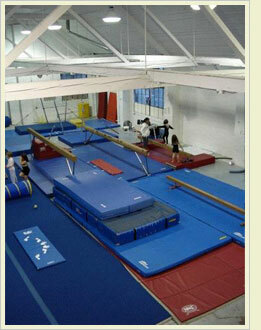 But what I was actually thinking to myself was: Isn't gymnastics an activity for girls? It seemed that most of the gymnastics I remembered watching growing up was of the girls variety. Mary Lou Retton and Olga Korbut came to immediately to mind. Mrs LIAYF solidified this line of thought by letting me know that Lukas' friend Eleanor was signed up, as was Claire from his preschool. In fact, it was made up of mostly girls with maybe one boy. I remained skeptical, but wasn't really against it. I guess I figured there was a chance we wouldn't end up going anyway with our recent track record on illnesses and diversions. Then Saturday came and although it was sunny outside, it came with a strong and bitterly cold wind. Rather than venture out into it, the thought of sitting in a heated warehouse room with mats while Lukas ran off some steam, free of charge no less, didn't seem all that bad after all. Even if he ended up being the only boy. As it turned out Lukas loved the class. Of the seven kids in the class, he was one of two boys. He enthusiastically jumped in without hesitation, listened carefully to the coach's instructions, bounced about with loads of energy, and showed his natural athleticism in preforming the jumps, swings, tumbles, and rolls like he had been doing them for months. He even evoked several comments about his abilities from other parents who, along with us, were watching from the obscurity of an overlooking balcony. In fact, he enjoyed the class so much that we are considering enrolling him in the class for the next several week session. It sure seems now like a great way to allow him to dispense of his built up energy in a positive manner, and seeing how much fun he had participating made it all worth while. My initial skepticism was certainly misguided. Plus, I figure that maybe we're actually onto something here. Looking back on my high school days now I'm thinking that rather than running around knocking heads with a bunch of other sweaty guys, getting knocked unconscious while playing, and having my knee blown out - it might have been, um, more pleasant to participate in a sport where I got to hang out and practice along side a bunch of mentally tough, flexible, and physically fit girls. As parents we always hope our kids have it better than we did. We'll see how this one goes. 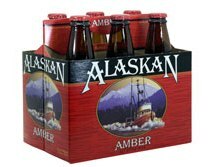 Drinking: Alaskan Amber Ale This is an old favorite of mine and still one of the best Micro Brews you will find. Goes great with a big bowl of homemade chili and a slice of cornbread. Serve as cold as an Alaskan winter. Reading: Washington - A Life After I have departed this earth you can look for the biography Seattledad - A life reading Washington - A life. At nearly 1000 densely packed pages, it may take me that long to finish. 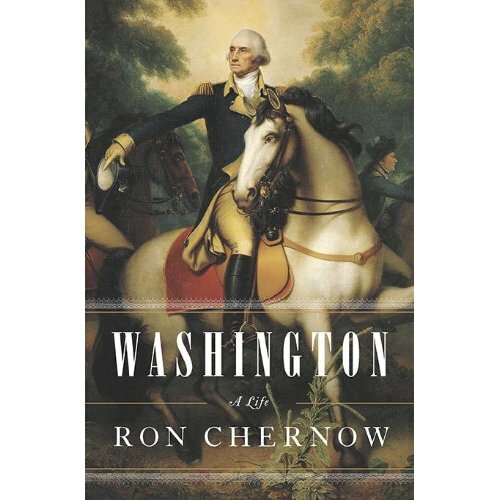 But, I am a big fan of everything about the American Revolution and this volume leaves little about George's life unexplored. For example, did you know that Washington sent off to London for a shipment of Spanish Fly after his wedding? Ok, maybe that's a little TMI. 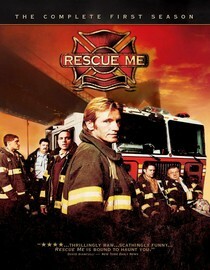 Watching: Rescue Me We just started watching Season 1 of Rescue me a few nights ago and already we are hooked. Gritty, dirty, brutally honest, and most of all funny this series cast our hero's in an honest light revealing them as what they really are - people with issues, just like the rest of us. 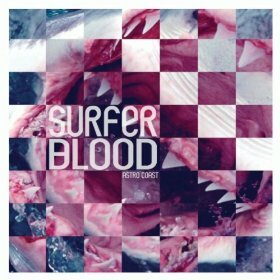 Listening to: Surfer Blood Had I known about this disc before I made my best of 2010 post, I probably would have included it. It's a great indie rock record that hooks you and pulls you in from the start. Plus, I can't help thinking of Keanu Reeves and Patrick Swayze in Nixon masks when I see the band name. Visiting: FatherFolk Get a bunch of talented dad bloggers together to write for a father focused blog whose posts are NOT about being a parent. What a concept. The editing of this site has recently fallen into the hands of the talented duo of Chris (@Tessasdad) and James (@Portlanddad) two dad bloggers I have the utmost respect for. Check them out and put them in your reader. Happy Tuesday Readers. I'm sure you've heard the old saying “Give a man a fish; you have fed him for today. Teach a man to fish; and you have fed him for a lifetime”. Yeah? Well, it also turns out that if you call a man a fish, you can teach him for the evening. It's true. After dinner last night, Lukas was playing with one of those feathers on a rope we usually use to torture the cats into confessing which one of them puked in the entry way, or alternatively who unrolled the toilet paper into a clawed up heap onto the bathroom floor. Well, after tiring from several failed attempts to get them to 'talk' he turned the thing into a fishing pole and caught yours truly by sticking the slimy gnawed up feather thing straight into my back pocket while I wasn't looking. Excited that he had snagged a Big Fish he indicated that he was presently going to cook me up and eat me. He even went so far as to open up the oven doors on the play kitchen. 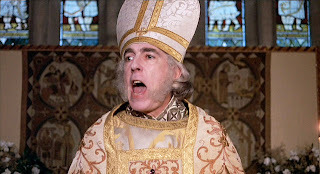 I, of course protested, tyring to convince him that at my age my flesh would be tough and as tasteless as I am. When that didn't work I switched strategies, instead pleading to his empathetic side. "But I have a fish family. If you eat me, then I won't be able to see them again" I pleaded. This plea was met with a moment of contemplation, before ultimately I was pardoned and made into a pet. From then on, and for the rest of the evening I was an instant friend. "Fishy, come to the bathroom with me. Fishy, let me show you all my rockets. Fishy, follow me." What turned out to be the great part though was how, as I assumed the role of the fish friend, he assumed the role of a teacher. Lukas wanted to show his new found fish buddy everything about life above water, including how we ate off of plates, how we read books to learn things, and how we got ready for bed. He even brought Fishy in to show him how the toilet worked. Then when he showed me how to flush, I asked "So, where does the dirty water go?" "To the ocean he replied" and busted up when I stared back with a look of horror on my face. "That's my home!" I kidded before Mrs. LIAYF reminded him that it made a stop to get cleaned first. The whole role playing game was a lot of fun and Lukas who may have been a bit hyped up from too much Valentines candy, was so excited he talked non stop to his fish buddy for what seemed like 45 minutes. Then, as it came time to tuck him into bed and read bedtime stories, the unthinkable happened. "I want Fishy to stay and read me stories tonight Mommy" he told Mrs. LIAYF. Normally, this is strictly a Mommy job around our house, and with his recent trend towards favoring his mother over me it came as a nice surprise to hear. Still, Mrs. LIAYF hadn't seen him all day so she suggested that we all read together. "Sure!" he replied. And we did just that. As it turns out, the happiness I got from the whole experience has fed me all day. Every Friday is Show and Share Friday at Lukas' pre-school. And every Thursday afternoon, at work, Mrs. LIAYF and I will respectively get an email from the school detailing what the theme is for the next day. It usually follows a theme based on the time of the year or whatever holiday is upcoming. These are themes like Fall or Your Favorite Christmas Present or Something Halloween. Well, as it turns out both Mrs. LIAYF and I were extremely busy yesterday and didn't get the notification for Friday's theme until late last night. Usually, we can quickly pick something out, stuff it into his backpack and have it taken care of before we are in a rush to get him out the door the next morning. But last night we were stumped. Mrs. LIAYF announced the theme to me, and we just kind of stared at each other wondering what would be appropriate to pack. With Valentines coming on Monday, the theme was Love. Sure, love seems like it wouldn't be too difficult a notion to wrap our heads around and find an appropriate show and share item, but you know what? It surprisingly was. 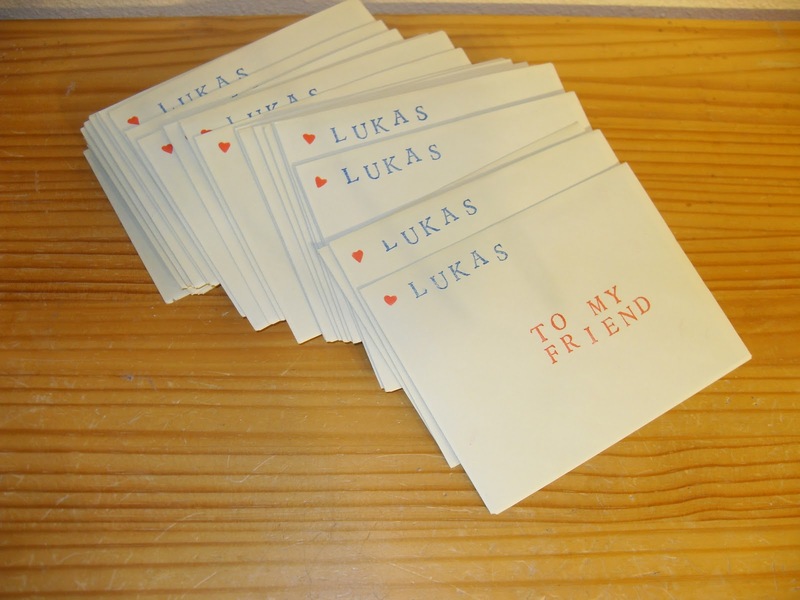 To us it begged the question "What tangible item would constitute the notion of love to Lukas, a 3 year old boy?" Maybe we could pack one of his toys, we thought. But that really didn't seem right. He doesn't Love any of them. He just plays with them. Then one of us came up with the idea that we could put a picture of the three of us into his backpack for him to show, but we weren't sure if that would be appropriate either. He loves Jelly Beans, but that is an altogether different kind of love. So, being tired and drawing blanks on what to pack, we did what many other parents might do in the same situation. We punted. We figured we would come up with a better idea in the morning, so we went to bed. By this morning I had already forgotten about the show and share dilemma. Soon enough 7:15 approached and I had to have Lukas out the door to get to yet another morning meeting. Thankfully Mrs. LIAYF was working from home today and was getting Lukas ready. As I climbed the stairs to check their progress Mrs. LIAYF presented him a picture of all of us and asked "Do you want to take this picture of Mommy, Daddy, and you for show and share to represent Love?" "No." was his matter-of-fact reply. Mrs. LIAYF had already dressed him in a special Pirate T-Shirt she had made him and he had agreed that he could tell his class mates that Mommy made it for him because she loved him so much. But that still didn't seem an adequate item to share. Finally, it dawned on us to go to the source for an answer. "Lukas, of all your things what do you really love? Something you could show to your friends." And with that he walked over, grabbed his stuffed panda bear, and headed down the stairs. How about you readers? What tangible thing represents Love to your kids? It's little conversations, like the one I had with Lukas on the way to pre-school this morning, which make being the father of a 3 year old so terrific. As we normally do, we were laughing and kidding around about many of the different things we see passing us by, and pretending that the banana on my dashboard was somehow giving us the extra 'power' needed to climb the hill we were summiting. Then, as we reached the top we were greeted by a rather odd looking vehicle that we hadn't seen in quite some time. "What's that truck Daddy?" Lukas asked quizzically. "That's a Honey Bucket truck" I reminded him. "Oh, It carries around big boxes of poopy." I responded looking at him in the rear-view mirror. "Nooooooo." was his response, giggling and flashing a huge incredulous smile. "You are so silly daddy!" "I'm serious buddy. 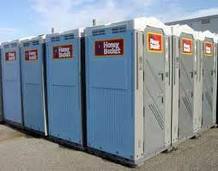 Those boxes are full of poop and pee." "Nunt uh! That's not a big box of poopy! Silly Daddy!" "Really, it is. Like at the park we go to. Don't you remember the plastic bathroom that smells really bad with the gross puddle under the toilet?" "Well, those are plastic boxes are called Honey Buckets, buddy." "Oh." was his response. Then, with a puzzled look he asked "Why do they call them HONEY Buckets?" "Uh....you know, I'm not really sure buddy" was all I could come up with. "It's not a very good name for them is it? Maybe they should call them Poopy Buckets." "Yeah, that's better" he agreed. "I like honey!" This Volkswagen commercial is 100% pure Awesome. I originally saw this video yesterday over at Father Apprentice and, given the nature of my blog and the fact that I used to do this very trick with Lukas and our Volkswagen when he was younger, I HAD to re-post it here. We don't have TV at home, so perhaps you have all seen this before. However, it was new to me and it made me smile. I especially like the greeting that Dad gets. Watching. No, scratch that. Participating in the scene at our dinner table last night I was suddenly transported back in time at least 35 years. Honestly I don't know how old I was when it happened, I just remember it clearly. Like it was yesterday. There I sat, all those years ago, at our dinner table. I can not only picture the scene, but also feel it - if that is at all possible. I can still feel the intense frown upon my face. I think I started with my cheeks in my hands, elbows on the table. I was staring down at them, not sure what I was going to do. My mother had given me the ultimatum. You WILL sit there until those peas are gone. Now, I don't quite understand my childhood aversion to them. Now peas are delicious to me. I can finish off a bowl of them, if they are fresh. Actually, I realize that this might have been the issue. Freshness I mean. Over the years my wonderful mother has turned into a fabulous cook, but back then? Back then all our green vegetables were a slimy, tasteless mush. And I couldn't. WOULDN'T eat them. It was my older sister who came up with the brilliant idea. At least it was better than any that I could come up with at the time. "Just stick them in your mouth and wash them down with milk" she chided me. "You can do it!" Well, something had to happen. So I held my breath and did just that. 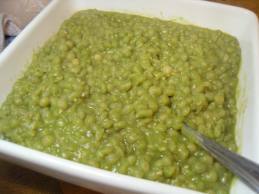 I shoved the whole serving of mushy peas into my mouth in several spoonfuls, grabbed my glass of milk and took a huge gulp. Unfortunately, I hadn't thought through my next steps. That's because I hadn't chewed any on them. So, there I sat with my mouth bulging at the seams with a slush of milk and slimy peas. Not sure what to do next, and unwilling to chew them I sat there for what seemed like an eternity. In truth it must have been no more than 10 or 15 seconds. With several sets of eyes fixed upon me, waiting to see what would happen. Then, in an instant, the 1970's air was filled with a spray of milky, mushy peas projecting forth across the room. Oh yes, all these years later I can still picture it clearly. Thankfully, after cleaning up the mess, I was excused. I didn't have to eat any peas that night. And not for years afterwards either. Fast forward to last night. "Three bites, Lukas" Mrs. LIAYF told him. "You have to eat three bites of kale, before you leave the table. Only then can watch a video." He scrunched up his nose as I held out the fork with the first bite of of the stringy green leaf. I'm not sure why, as it was fresh and actually good. He then made a face as he started chewing it and stuck up his hand to spit it into. "No, buddy. Just chew it quickly and swallow it. It's not so bad." And then I threw in the kicker. "Here, take a drink of milk with it. It will help." It was at the point he had the cup to his mouth that I flashed back all those years, to my peas incident. Oh, no! I held my breath, not unlike all those years ago. Would the kale come rocketing from his mouth right back at me? Thankfully no. He actually had the fortitude to finish off all three of those bites, despite not liking them. I was duly impressed. And with that, he got his video. But not a lasting memory. I Don't Blame Him. I Think She's Great too. My regular readers will know that I have always been an extremely involved dad. And, like many dads these days, since day one I have done my best to share the parenting responsibilities equally along with Mrs. LIAYF. I have accepted this responsibility with enthusiasm and have been rewarded 1000 fold with the unconditional love of my little guy. A benefit of this involvement has thus far been that, save for his breastfeeding days, Lukas has not shown a partiality to either Mrs. LIAYF or I. He has always seemed equally comforted, and comfortable with either of us. But recently there has been an ever so slight, but noticeable change in his attitude. As I suspect happens with many little boys, Lukas is starting to show a preference to his mother when it comes to being comforted, both emotionally and physically. I'm not sure if this is due to some change in the way I have approached dealing with him. I honestly don't think that is the case. As far as I am concerned I show the same kind of love and affection towards him that I always have. But recently he has began to notice that daddy isn't as soft and cuddly as his mother is. And neither am I as good at giving snuggles as Mrs. LIAYF is. He even recently said that he didn't want to hug me because he 'didn't like my whiskers'. And more than once he has said that he only wanted mommy around, without really giving a reason. All I can really say to this is that, well, he has a good point. Mrs. LIAYF is very good at these things. And my whiskers, even when freshly shaved, can be a bit rough. With those things, I can't really compete. And I don't want to either. It's altogether natural for a boy to be more affectionate towards his mother than his father, especially as he gets older. But the truth is, this still makes me slightly sad. I know that this is a natural cycle in a lot of children's lives, and that given time the pendulum that is his parental preference will most likely shift back in my direction once again. Sad, but just a teensy bit really. I suppose that's human nature. Anyway, even though I know with certainty that he still loves me as much as ever and that I am still his second favorite person in all the world, the whole motherly preference notion was reinforced on the way to preschool Monday morning. Lukas had mentioned over the weekend that he needed a family picture to have at school so Sunday night we had packed one into his backpack. I pulled it out and showed it to him on the way to school. His response was to start kissing the picture. "You know what I am kissing?" he asked. "Mommy?" I guessed. "Yes, because I love Mommy" he replied. "What about daddy? Do you love daddy too?" "No, I just love mommy." Ouch. Even though I knew he didn't mean it hearing those words will never be palatable. But then, after I dropped him off and as I said goodbye to him from across the room and prepared to step out of the preschool classroom, he sprinted towards me with a worried expression on his face, and jumped into my arms. Every now and again he will not see anyone familiar first thing in the morning and get a bit shy and clingy. I thought maybe this was one of those instances. However, his primary caregiver was there and after my son had clung tightly to me for at least 30 seconds, she came over and looked him in the eye. Lukas and my cheeks were still pressed tightly against each other so I couldn't see his face. At the same time, from the corner of my mouth and in a goofy muffled voice I asked "Whaaaaaat's gooooing on oooooover theeeeere?" And with that a smile broke over the teachers face. "That's a million dollar smile" she laughed. I then swung Lukas high into the air prompting a big giggle to burst forth. In the same motion I set him down and he was off and running. Heading over to the play area like a wind up car hitting being released onto a tile floor. On the way, he looked over his shoulder with a huge smile and said "Bye daddy!"